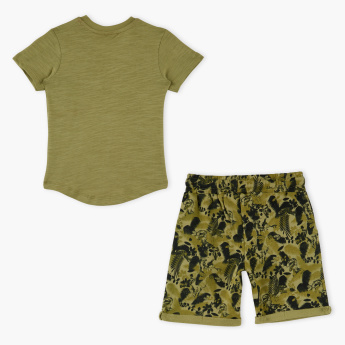 Surprise your little one by gifting this t-shirt and shorts set. The Jurassic Park print looks attractive and will be loved by your kid for its popularity among kids. The elasticised waistband gives a gentle fit.